Yes I bought more books! Yes I am on a Sci Fi/Fantasy kick right now! Yes one of them is a hardback copy which I try to avoid buying at all cost! But can you blame me, its bloody stonkingly gorgeous, don’t you agree? If this post is quite short its because we in the UK are currently suffering a massive heatwave and I am literally a puddle of goo on the floor so, you’ll excuse me wont you if I don’t spend too long typing on a warm laptop! 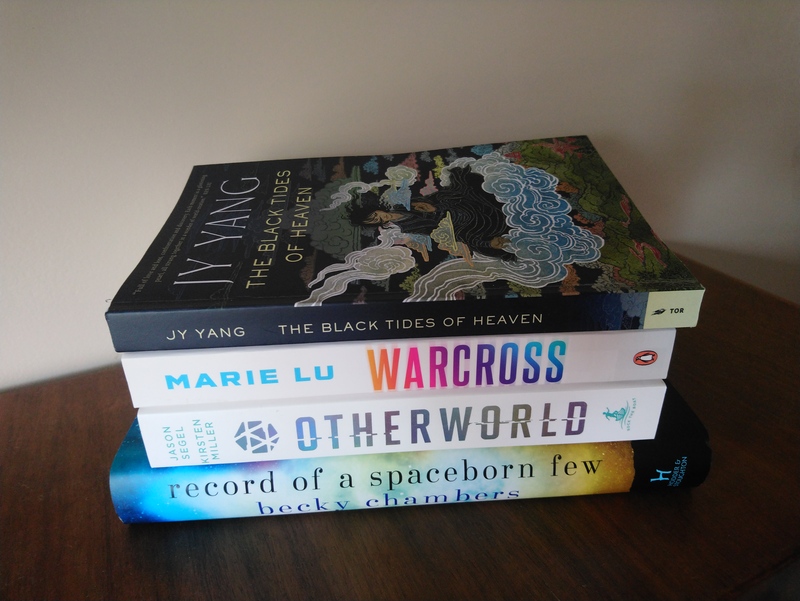 I bought the Jy Yang book because virtually everyone on BookTube had hauled it and raved about it and the opening chapter so amazing so I have high hopes for this. 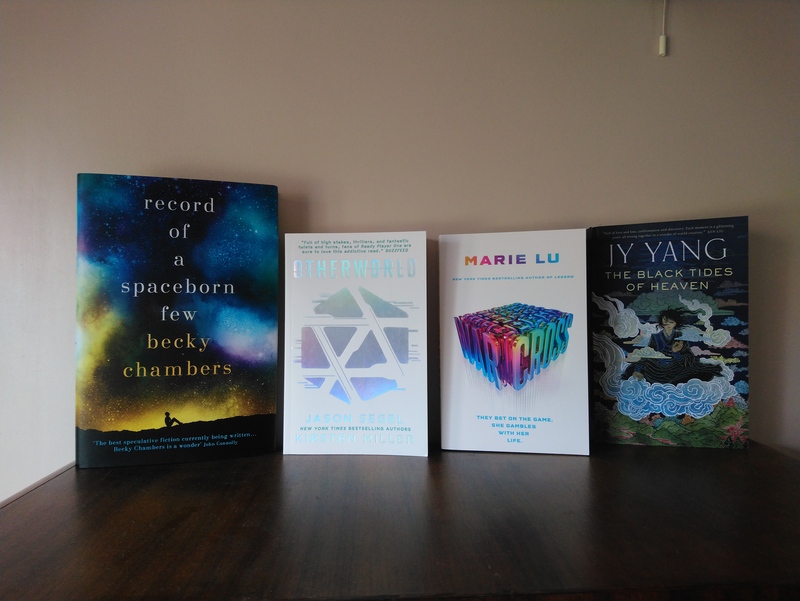 The Marie Lu and Jason Segel books just speak for themselves really, I loved Ready Player One (well what I read of it which was quite a bit) and these are meant to be very similar but I’m sure have a style of their own at the same time. The Becky Chambers’ book was one I just couldn’t ignore despite it being a hardback. 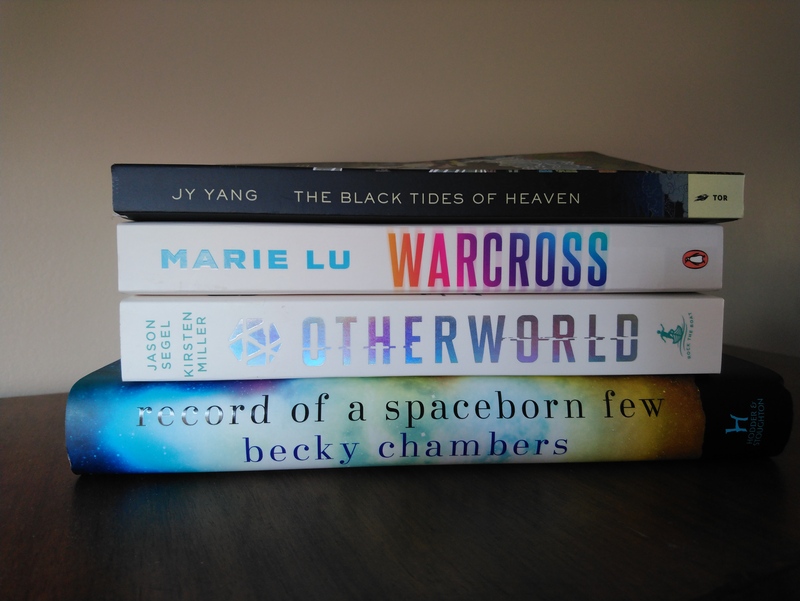 I am currently reading her first book, The Long Way to a Small Angry Planet and also have her second book to read too so now I can indulge myself with all this gorgeous Sci Fi. Don’t they make such a beautiful line up?